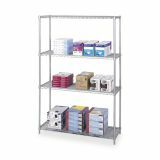 Safco Industrial Wire Shelving - Wire shelving includes four shelves, four posts and snap-together clips. 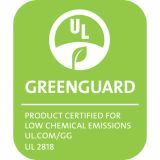 Strong welded wire construction with a per shelf capacity of at least 1,000 lb. (with weight evenly distributed). Open wire design permits air circulation and prevents dust accumulation. Shelves adjust in 1" increments. Unit assembles in minutes without tools. 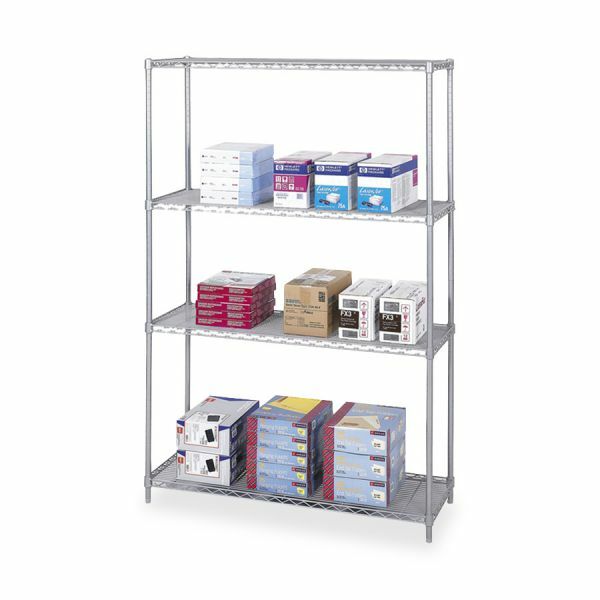 Optional Add-On Unit and Extra Shelf Pack meet specific requirements and are sold separately.